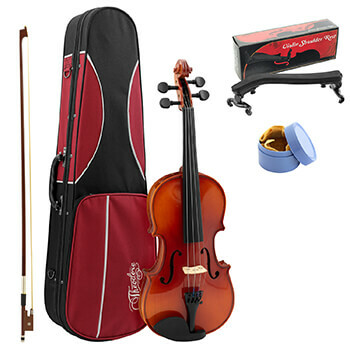 Ideal for intermediate violinists, this violin kit is overflowing with fantastic features and all the essential accessories. This violin features a quality solid spruce top which creates a warm, deep, superb tone as well as maple wood back and sides with ebonized solid wood tuning pegs, chin rest and fingerboard. The polished finish makes for a professional and elegant appearance which can be fundamental to classical performances. Manufactured with durable black aluminium, the tailpiece is fitted with 4 fine tuners so you can tune your instrument more accurately. 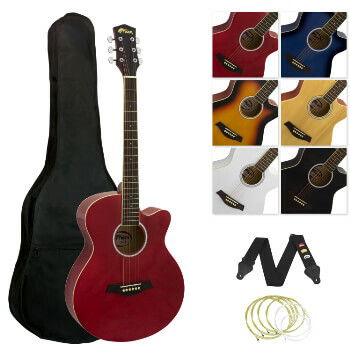 For children and adults, the Tiger Acoustic Cutaway Guitar is the best place to start learning guitar. 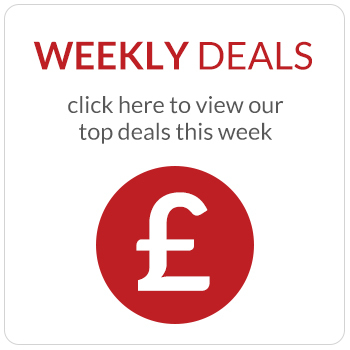 This steel-string acoustic guitar is set up for a beginner guitarist with relatively ‘low action’ making it easier than most budget guitars to press down the strings. The cutaway allows you to access the frets higher up the guitar. The strings themselves are good quality and along with its die cast chrome machine heads, stay nicely in tune. The World Rhythm Cajon Box Drum is a fantastic introduction to percussion and drumming. 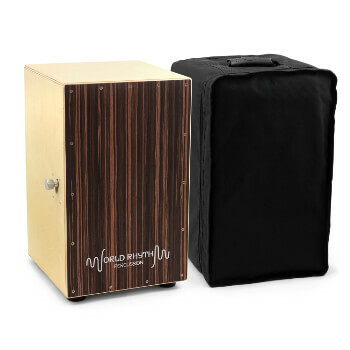 Complete with a protective, 5mm padded bag, this full-size cajon drum produces a variety of warm sounds. 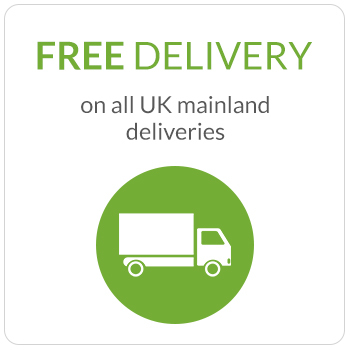 Unlike most modern cajon drums which are fitted with wire strings to create the snare sound, the World Rhythm Cajon prides itself on its superior, genuine snare mechanism. Fully adjustable, the snare creates a sharp snare sound when hit from the top and a low, resonant bass sound when hit more centrally.